Enjoys playing golf in his spare time. 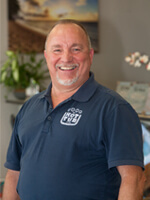 Completed various leadership trainings during his career in the U.S. Marines and has attended various Watkins Manufacturing training courses. 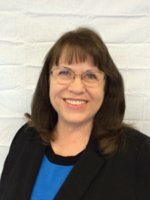 Enjoys living in Sacramento and could imagine someday living in Hawaii or next to a lake. Is happily married and has five sisters and their families spread across Sacramento and Florida. Is proud to work for a company with good people and where he has freedom to do his job well. Loves his Hot Spring Spa Vanguard and uses it several times a week. Is excited for more people to be buying hot tubs so that his delivery crew can be kept busy. Enjoys hanging out with his family! 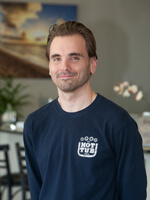 Has been a member of The Hot Tub Store team since 1998. Enjoys spending time playing with her grand daughter. Is originally from Santa Rosa, California where she attended Montgomery High School and Santa Rosa Junior College. 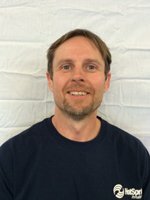 Enjoys living in the Sacramento area and hopes to someday live in Hawaii. Is happily married and is proud of her three children and adores her grand daughter. Is proud to work for a company that provides steady work and reasonable hours for their team. Enjoys working with people and also enjoys quiet times in the showroom too. Enjoys her Hot Spring Envoy every chance she gets. Is excited that she will soon have a new grandchild to welcome to her family! 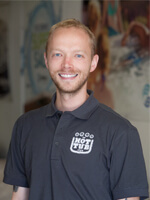 Has been a member of The Hot Tub Store team since 2011. Enjoys rock climbing, woodworking, and home brewing. Has studied at college and is a Factory Certified Technician of Hot Spring Spas. Enjoyed living in New England. Currently living in Sacramento where he has family. Would like to one day live in Alaska. Is proud to work for a company where he has autonomy, supportive resources, and camaraderie. Loves his Hot Spring Spa Sovereign with ACE. Is looking forward to a fun vacation this year. 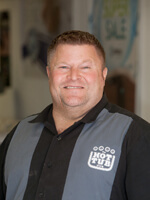 Has been a member of The Hot Tub Store team since 2013. 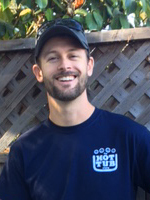 Enjoys fishing with friends on a boat or from shore mostly in Sonoma County. 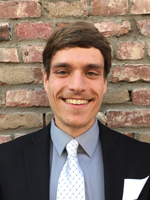 Graduated from Rancho Cotati High School, took courses in electronics at Santa Rosa Junior College, and is a Factory Certified Technician of Hot Spring Spas. Is originally from Orlando, Florida. Enjoys living in Sonoma County, but could imagine some day living in Hawaii. Has been happily married for 12 years and is the proud father of a son and a daughter. Is proud to work for a company that has a family oriented atmosphere. Loves his Hot Spring Spa and uses it just about daily. Is excited to provide excellent service to current and new customers this year. Looks forward to enjoying time with his family every day. Started with The Hot Tub Store in 2017. Born and raised in Sonoma County. Grandfather was one of the last Santa Rosa doctors to make house calls. Graduated from UCSC with a degree in Anthropology. Avid martial artist with a black belt in Kenpo Karate and blue belts in American Taekwondo and Brazilian Jiu Jitsu. Currently working toward completing a marathon. Finds that the hot tub is helping him reach this goal by increasing circulation and allowing tight muscles to relax faster. Enjoys the satisfaction of bringing a neglected spa back to like new condition during Valet Watercare visits at customer’s homes. Can’t think of a better place to have a hot tub than Sonoma County with beautiful vistas of redwood trees and vineyards. Looks forward to helping more people to relax and enjoy their hot tubs by taking care of the routine monthly maintenance for them through Valet Water Care Services.